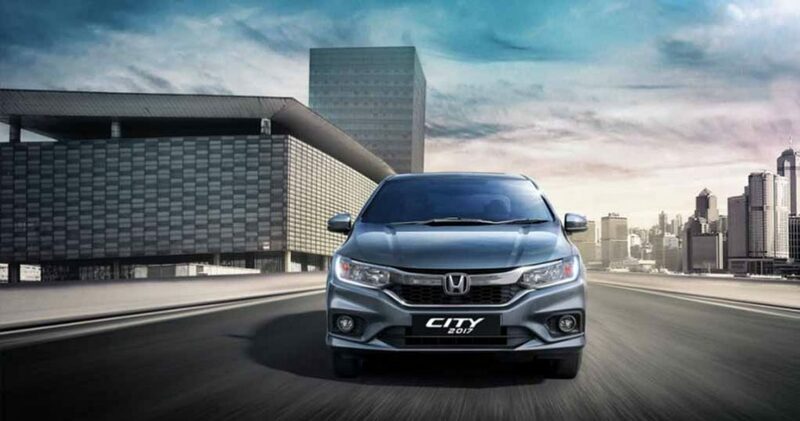 Honda City is the jewel in the crown for the Japanese automaker’s sales aspirations in India since its launch. And therefore, the new facelift carries all the more importance. 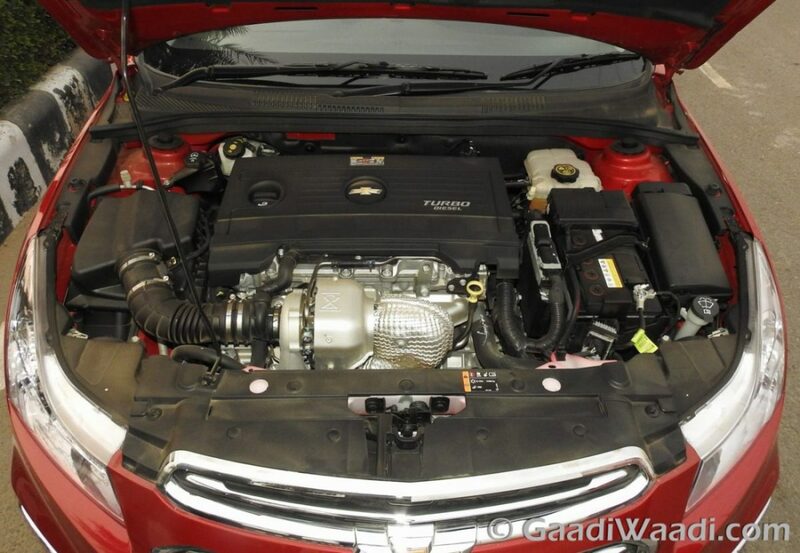 The introduction of diesel engine to City’s lineup only strengthened its sales prospects a few years back and although a capable product in the name of Ciaz entered the scenes, City has managed to maintain an edge. The growing trend of increased premium customers expect plenty more from auto manufacturers in terms of equipment and safety features. Understanding what they want, the City facelift hopes to appeal for the modern band of executive and general buyers. 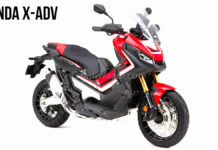 Although mechanical changes were simply not there, Honda now peculiarly offers customisation options and that is a good move we would say. 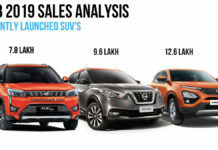 Regardless of the segment, a passenger car’s styling is a primary factor for its market success and the City has just that. The substantial exterior revisions made is a welcoming treat and most importantly render a high-standard road presence. 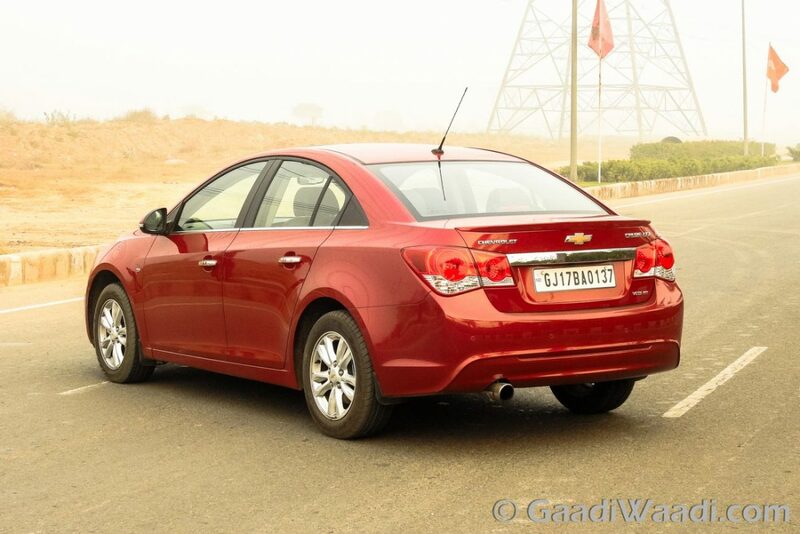 Speaking of the road presence, Chevrolet’s Cruze bossy American design is second to none and as the variants of City go up higher they fall into the territory of the D-segment sedan. A new generation Cruze would make a whole lot of difference for GM but until then the existing model, which is offered in just three variants, will be a worthy competitor for Honda City’s top-end trims. The muscular sedan has its own legion of customers for many obvious reasons. Main among which is the exterior styling that requires very little personalisation to be converted into a sporty sedan. 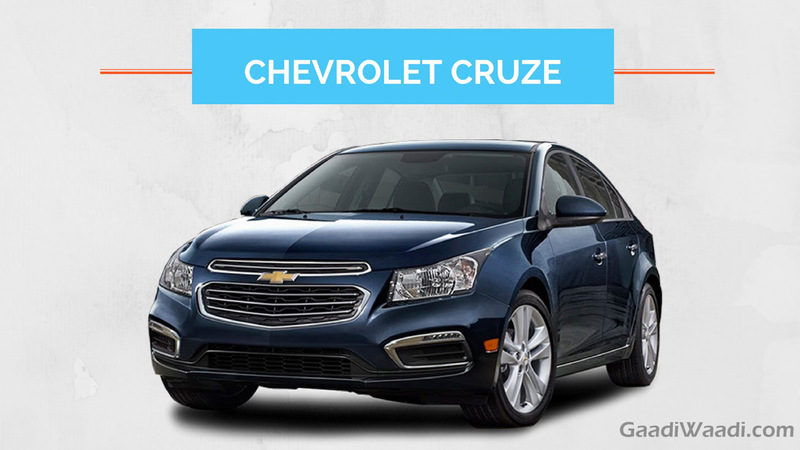 The regular Chevrolet Cruze, however, boasts a powerful and dynamic appeal on the outside. The large hexagonal two-piece front grille assembly with the traditional bow-tie logo in the middle was retained from the previous model and accentuated with black horizontal slats and chrome highlights. The signature sweptback headlamps continue from the old model alongside the revised fog lamp housing. It gains a chrome surround with embedded LED Daytime Running Lights. 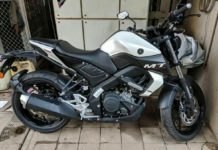 The rear portion has kept the sporty theme intact as well with the tail lamps shaped in a horizontal layout and a sporty bumper again alluring the customisation outfits. Tipping the weighing scale at a little over 1,500 kilograms, the Chevrolet Cruze measures 4,597 mm in length, 1,788 mm in width and has height of 1,477 mm. 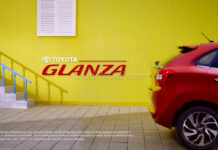 It features 2,685 mm wheelbase with 165 mm ground clearance and bootspace of 470 litres. 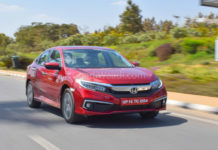 Over to the Honda City facelift, it features a thoroughly reworked front fascia with a new aggressive grille with chrome strip running across, while changes to bumper and headlamp cluster, that gets LED lamps on top trims and LED DRLs, replicate the latest generation India-bound Honda Civic. 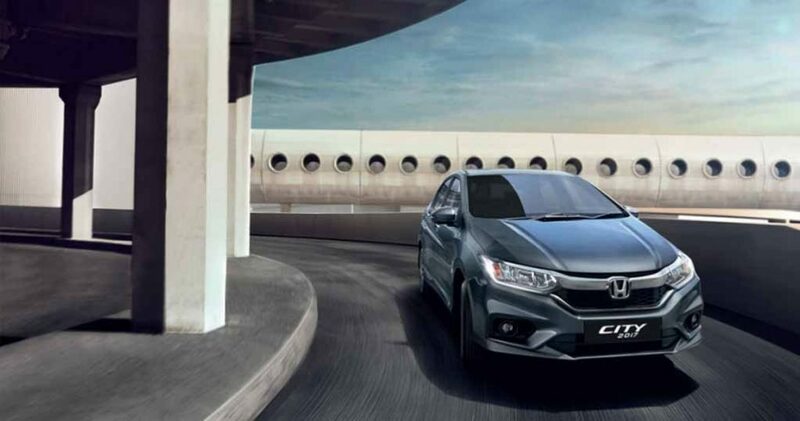 Honda has introduced a new Modern Steel Metallic grey shade which will be sold alongside the existing colour options. The top-end trims receive a blackened B pillar as opposed to body coloured B pillars in lower variants. 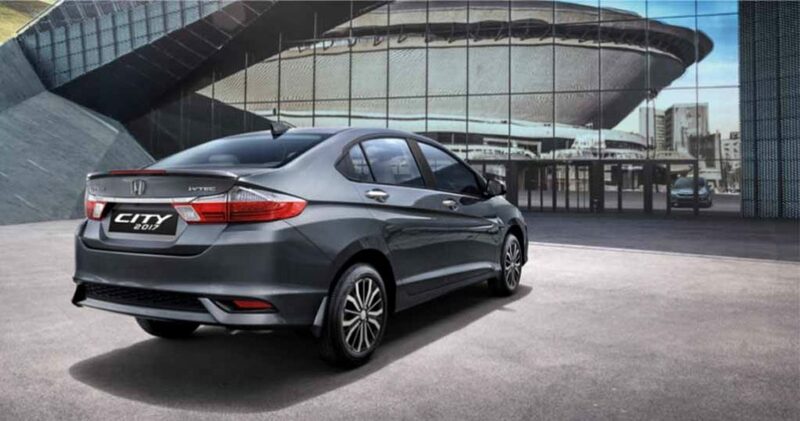 The rear end of the 2017 Honda City gets longer and flowing LED tail lamps and an LED strip on the spoiler, as the substantial upgrade meant the C-segment bestseller has got even better. Besides, the newer air intake and fresher set of alloy wheels add to the flare. Considering the styling, it is hard to choose a winner as buyers’ perception plays a huge role in this factor. Both look extremely well put together but just in terms of the sportiness I would say the Cruze still comes out on top despite it lacking some modernity compared to the City. As for the Honda City facelift, it is 4,440 mm long, 1,695 mm wide, 1,495 mm tall and has a wheelbase of 2,600 mm. The all crucial ground clearance stands at 165 mm while the bootspace is rated at 510 litres. The cruze undeniably wins in this aspect as it is longer, wider and taller, than the Japanese sedan, prompting more spacious cabin as it allows for additional 85 mm wheelbase too. But in terms of bootspace, City betters with extra 40 litres of capacity on offer. General Motors introduced an updated Cruze with added features early last year. It comprises of MyLink infotainment system with a new seven-inch touchscreen with applications like internet radio, grace note & SIRI eyes free compatibility, Bluetooth audio streaming and phone telephony with voice recognition control and rear view camera. 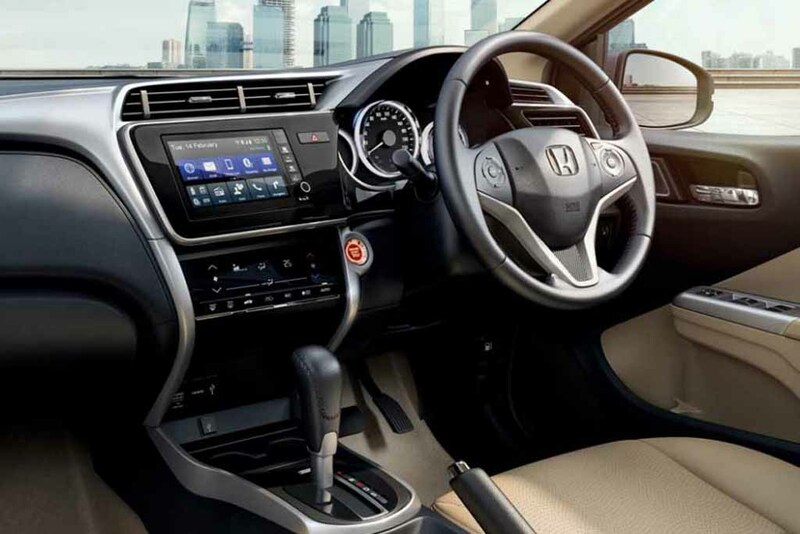 The sporty steering wheel also gets buttons for infotainment and Bluetooth handsfree. 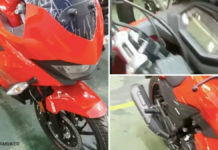 The other salient features in the equipment list include dual front airbags, keyless start, side airbags, Anti-lock Braking System, factory -tinted glasses, passive entry passive start (PEPS) that automatically controls, anti-theft alarm, electric sunroof, six-way power adjustable driver seat and rain-sensing wipers. Getting in the Cruze will make you feel plush with the fighter jet inspired cockpit well aligned to give a premium stance. 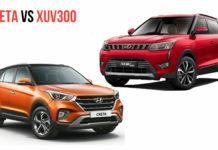 On the other hand, the facelifted City offers three new customisation packages such as Chrome, Utility and Style that are aimed to improve the styling and utility quotient. On the safety side, the new City gets dual airbags, ABS with EBD, and ISOFIX mounts for child seats as standardised features. The range-topping ZX trim gets six airbags including side and curtain bags. 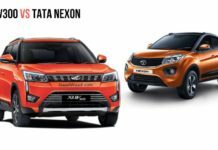 Stuff like auto headlamps, auto on-off headlamps and automatic rain sensing wipers also make the top-end package a significant one. 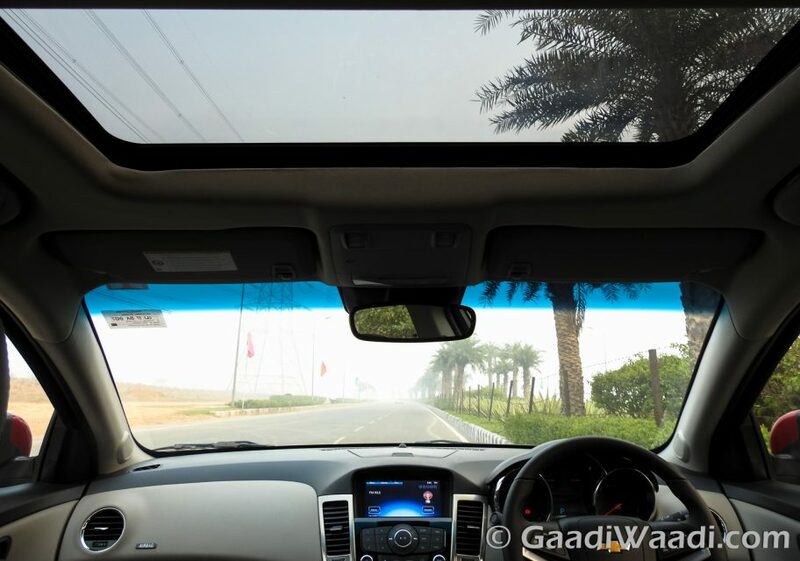 A new seven-inch touchscreen audio-visual navigation system with an Android based interface with 1.5 GB of internal memory, 2 USB slots and 2 micro SD slots and provision for navigation and rear view camera make it a busy sedan. In the top-of-the-line ZX an electric sun-roof, power locks, LED and illumination within the cabin, intelligent control for audio system, touch screen compatible, Bluetooth connectivity for both iOS and Android and steering mounted controls brim up the list of offered features. 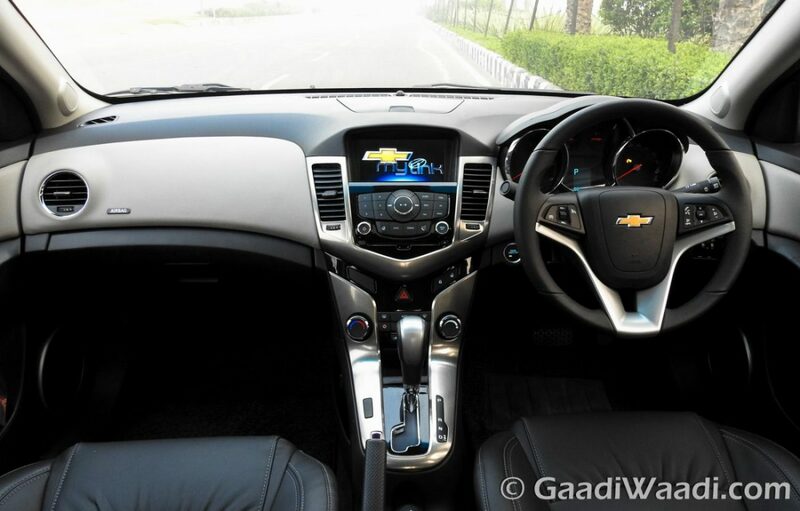 Considering the interior and features available in the top-end LTZ Cruze and ZX City, the latter comes out as the certain winner as the Cruze obviously loses on it being a slightly aged model despite having a brilliant dashboard design and driver focussed cockpit with comparatively much more head and leg room for occupants. When the Chevrolet Cruze received a mid-life refresh last year, no changes were made to the powertrain lineup. The same 2.0-litre VCDi engine produces a power output of 164 bhp and 380 Nm of peak torque. Transmission options are a six-speed manual and a six-speed automatic on the LTZ. 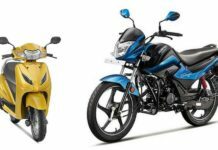 The automatic version is claimed to return 14.81 kmpl of mileage and the manual version at 17.9 kmpl. 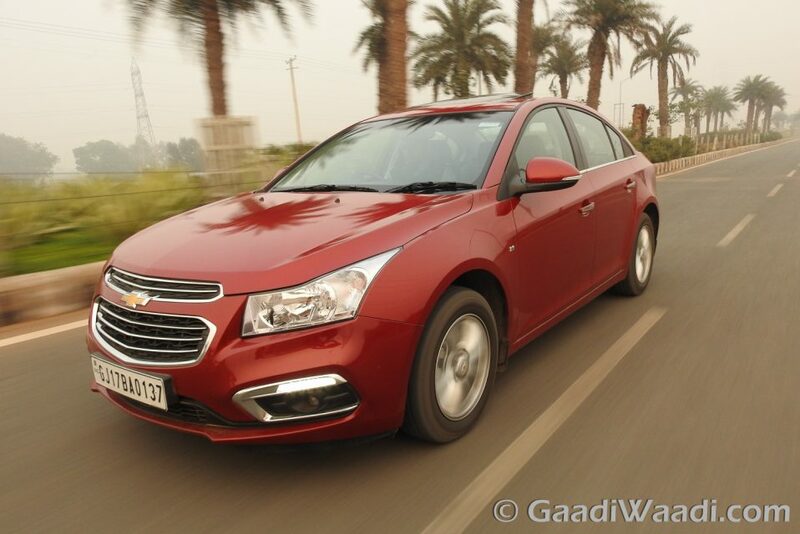 The Cruze’s diesel-only mantra has also made it equipping the most powerful engine in its class. Keeping in mind, the Cruze lies in a higher segment, the 2017 Honda City Facelift retained its power line-up as well but with mileage revisions. 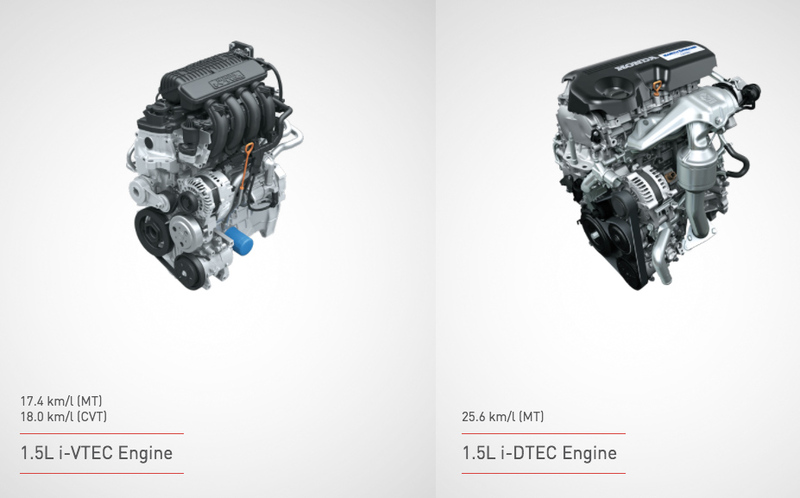 The 1.5-litre naturally-aspirated V-TEC petrol engine produces 120 hp power and 140 Nm of peak torque, and comes mated with a five-speed manual or a CVT gearbox with paddle shifts. 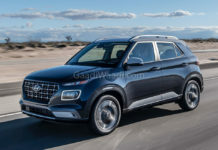 The 1.5-litre turbodiesel engine makes 100 hp and 220 Nm of torque connected to a five-speed manual transmission. The slightly lowered fuel economy compared to the outgoing City means the diesel now returns a claimed 25.6 kmpl, (0.4 kmpl less) whereas the petrol manual returns 17.4 kmpl (down by 0.4 kmpl). However, the petrol CVT automatic continues to give 18 kmpl. The Cruze is a downer on mileage compared to the City, it has a diesel engine that produces 64 more horses than what City’s oil-burner manages. It is the obviously choice, unless you prefer a petrol engine. Chevrolet Cruze (three trim levels and eight colours) comes with a price range of Rs 12.95 lakh for LT, 14.95 lakh for LTZ and Rs. 15.95 lakh for LTZ AT (ex-showroom, New Delhi). The 2017 Honda City facelift is priced between Rs. 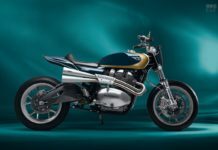 8.50 lakh for the base S petrol and Rs. 13.57 lakh for the top-end ZX diesel. 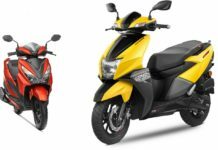 Considering the flexibility in price and two engine options with range of features, Honda City looks like the real victor in this comparison but there is more than just meets the eye and it is explained in the verdict part. 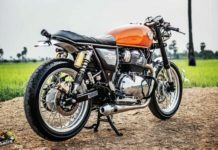 Let’s break it down into pieces and compare each aspect a buyer will consider while buying these two models. 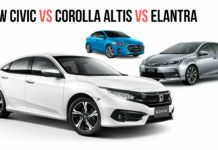 Firstly, on styling front there is no definitive conclusion as Cruze and City are head-turners with their sporty and subtle looks and it depends on what your priority is strictly. However, the Cruze does have a slight edge with its higher proportions and coupe-ish stance as far as we are concerned. 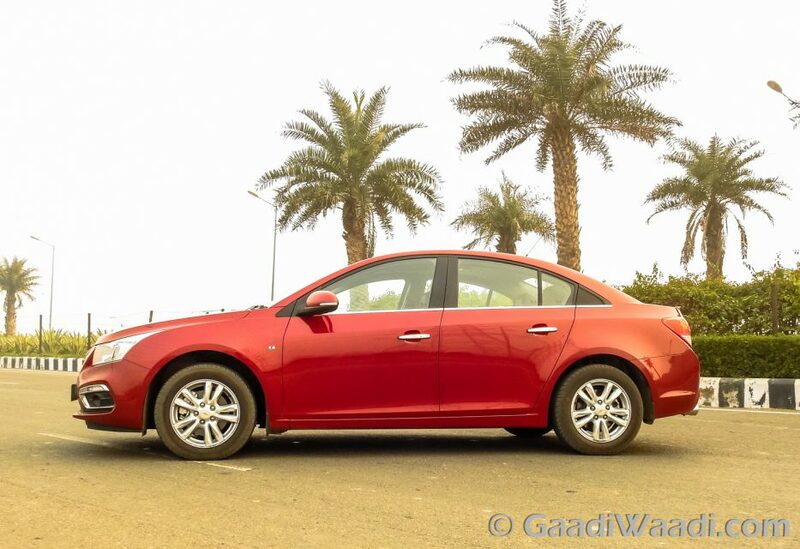 Mechanical-wise, the Cruze is a brilliant performance machine and with 64 more horses over the respective diesel counterpart of City, you would be lured to buy the manual LTZ variant and have some pedal-to-the-metal stuff with it. Buying a car is a matter of putting all the puzzles together as interior and features play a significant role. With personalisation options and a modern cabin, the City facelift comes ahead but Cruze, which is a D-segment executive sedan, offers a better cabin feel and comfortable seats. 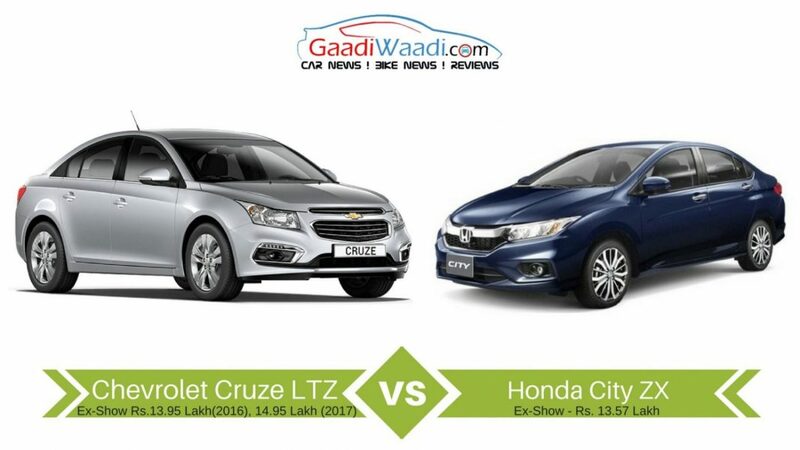 You may notice the top-end models of City and Cruze differ by a huge margin in terms of price tags but being smart and opting to MY2016 Cruze will make a world of difference. With current offer price, the LTZ manual is just Rs. 40,000 costlier than the respective ZX City at Rs. 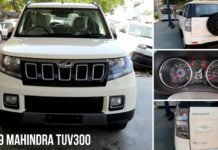 13.95 lakh. It comes with a package of Rs. 42,000 for three years/ 60,000 km and that’s a sweet deal turning the favour towards Cruze. The MY2016 Cruze’s high-spec LTZ manual is a value for money proposition over the City ZX top-end considering the performance, space and the overall package and if you are smart enough you might consider it while debating over which one of these to take home with.